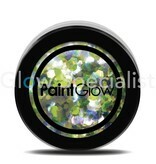 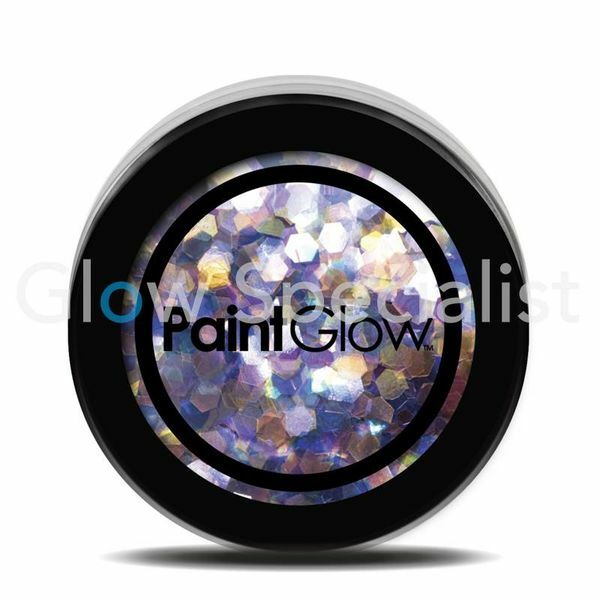 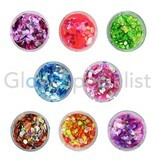 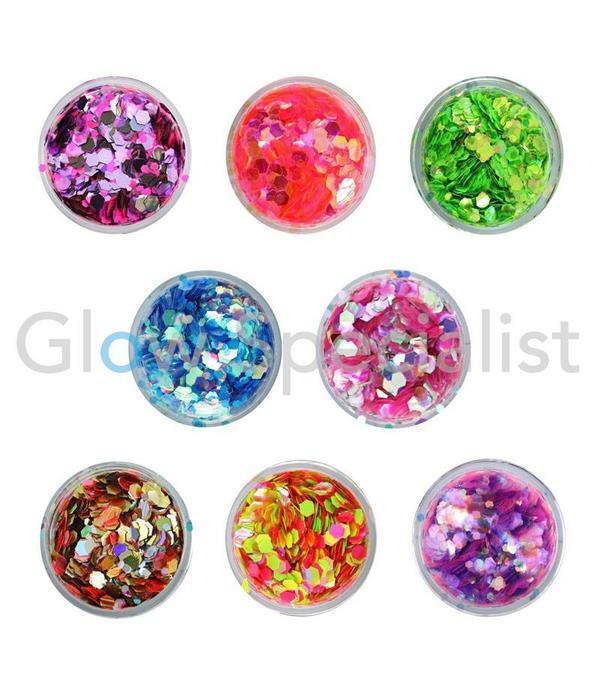 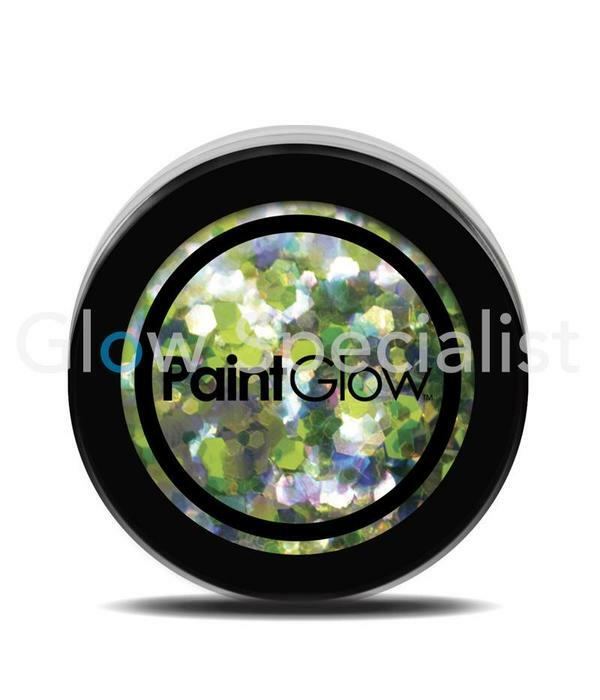 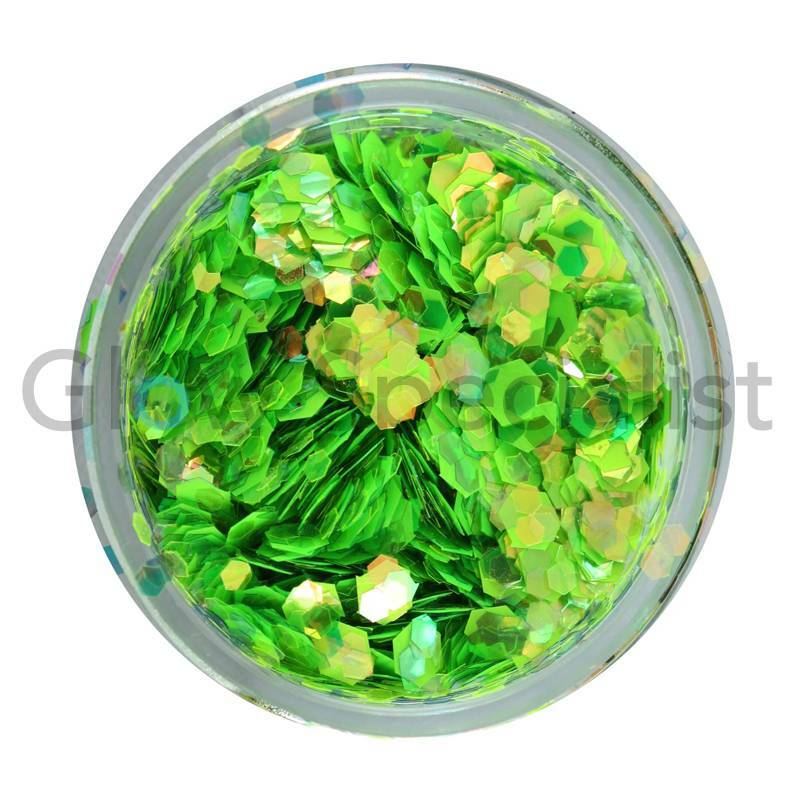 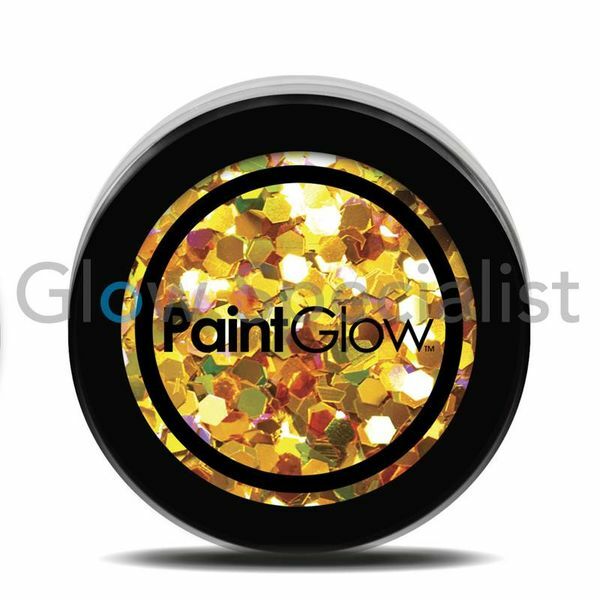 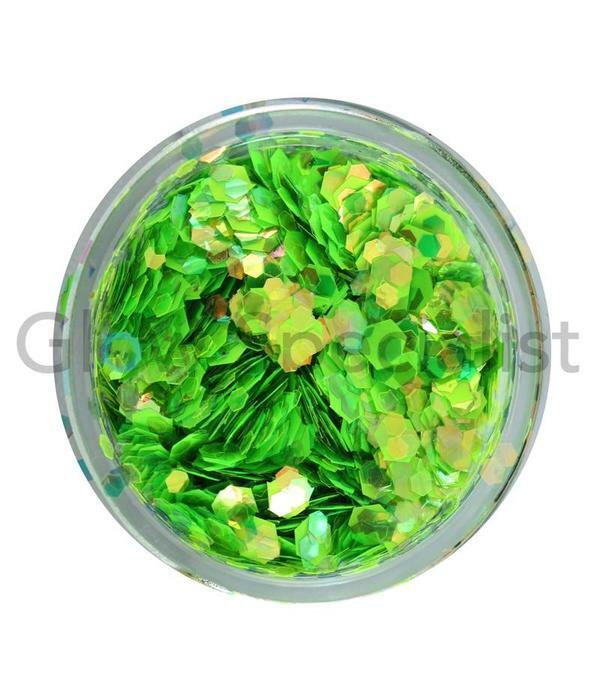 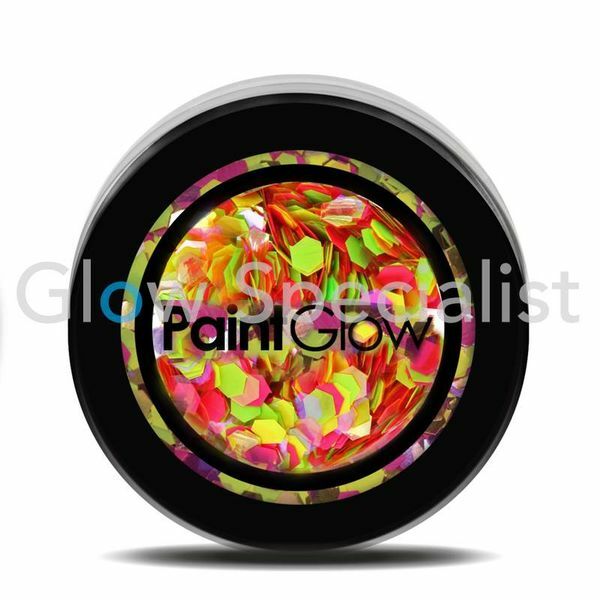 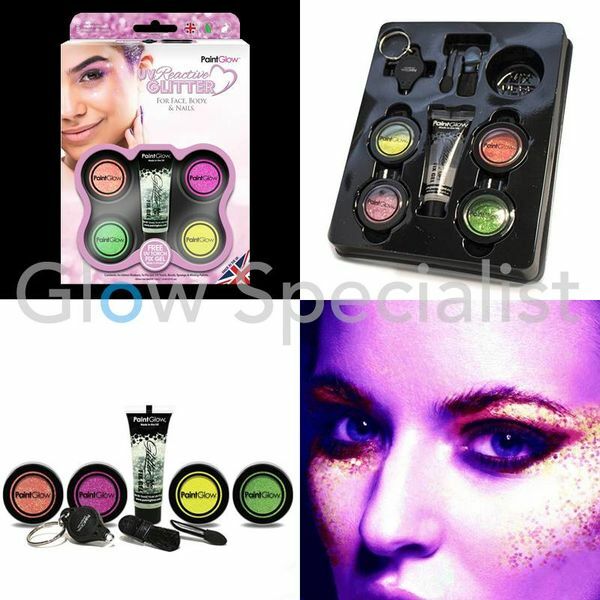 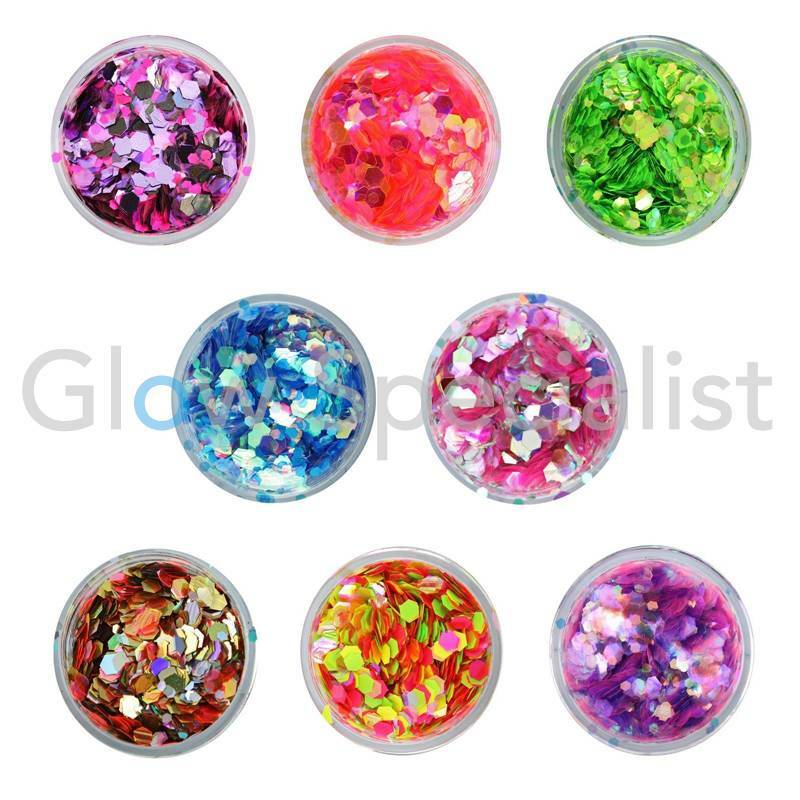 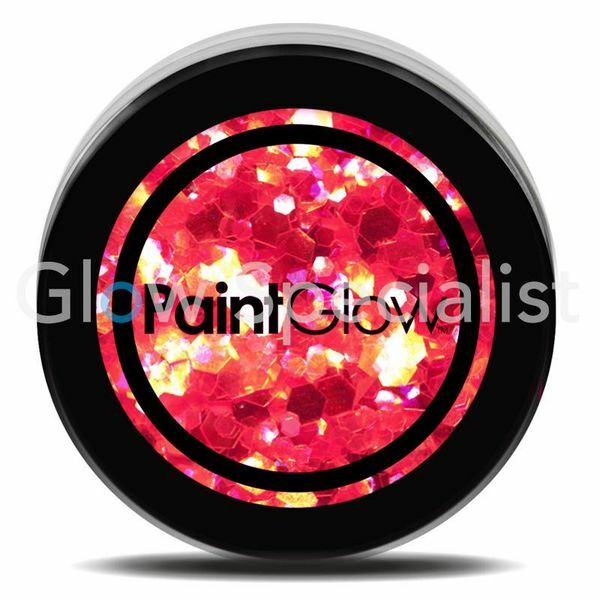 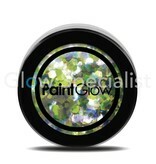 Chunky UV Holographic Cosmetic Glitter in the color Lucky Lepricorn creates the Perfect Glitter Eyeshadow, Glitter lips or Glitter nails or glitters in your hair. 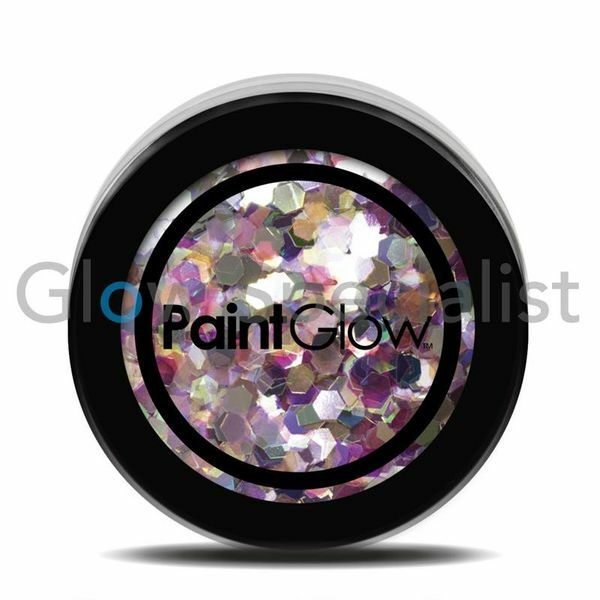 Perfect for when you need that extra bit of sparkle. 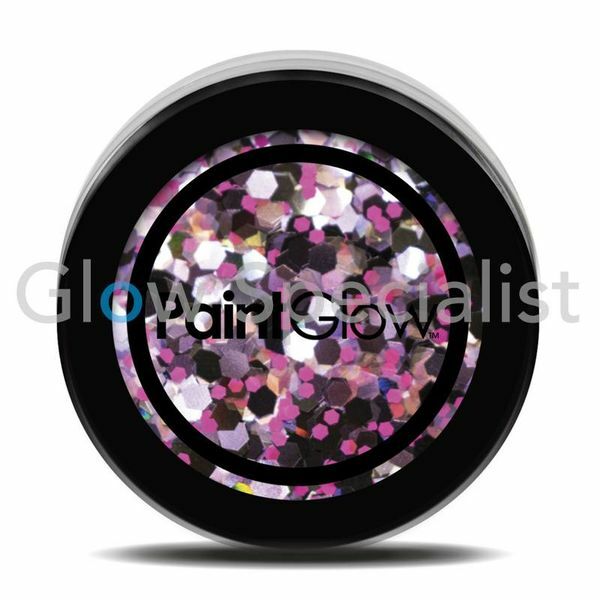 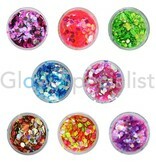 Our glitter shaker give an instant Glitz and Glamourous effect. 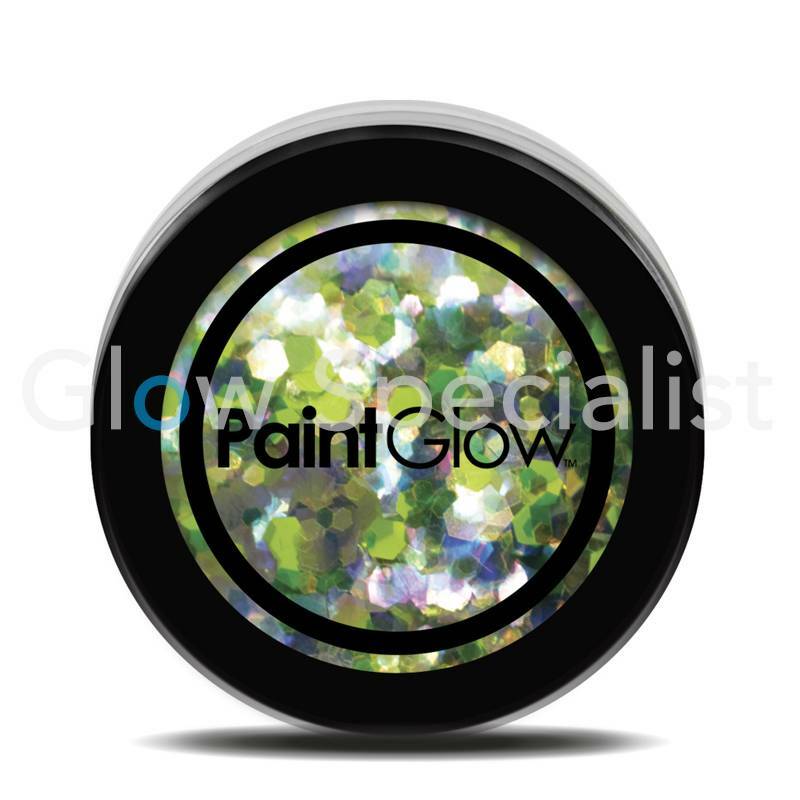 Simply Apply a Glitter Fix Gel then sprinkle Chunky UV Holographic Glitter over the Gelled Area to create an Eye-Catching Head-Turning Look or add the Cosmetic Glitter Can to Acrylic Nail Powder or Nail Gel or to your hair gel for sparkling hair. 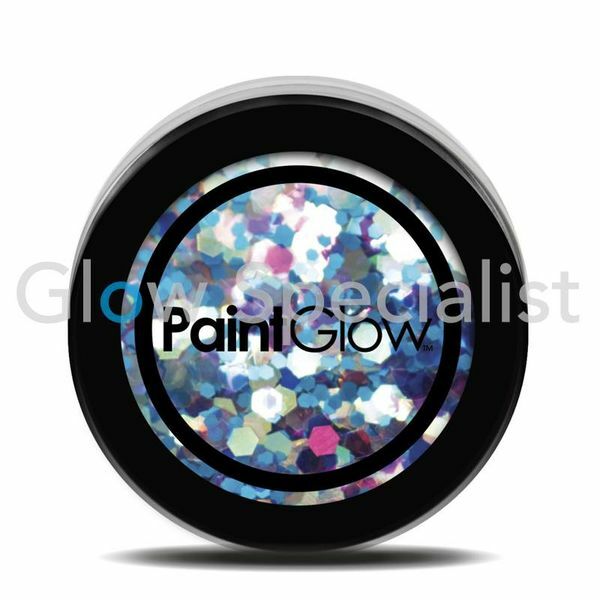 Perfect for Concerts, Festivals and Parties.